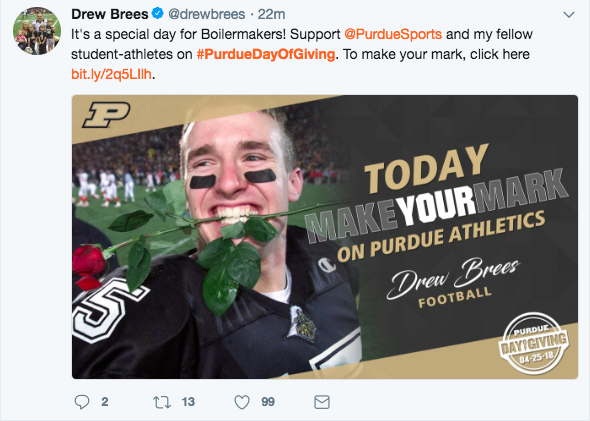 Last year #PurdueDayofGiving set a new record for single-day higher ed fundraising, raising $28.2 million from 15,181 donors in 24 hours to help freeze tuition and keep education affordable. Tomorrow, will the record be broken again? We're very proud of the "Make Your Mark" campaign work and can't wait to see how the Purdue community responds tomorrow!